A close fortnight ago Junior Martindale, a native of New Amsterdam and former student of Queens College was laid to rest among martyrs at a simple home coming ceremony. The scriptural reading was taken from the book of Jeremiah …(Jeremiah 29:3) and reflected and resounded the full potential and un-explained life and times of this decorated state trooper and father of two who was interred at the veterans cemetery in Goschen, up-state New York on Tuesday July 29. NY’s Governor, Andrew Cuomo was among the throngs and scores of state, federal and military operatives for the late decorated state trooper of Guyanese ancestry. ASOMELYKAM. Junior…given name WINSTON ISAAC MARTINDALE (May 8, 1973 – July 24, 2013), comes from a renowned column of military men in Gt. His own father was a soldier in the GDF. Junior was 40 and died quietly at Mount Sinai hospital after a brief illness promulgated by a stomach virus. 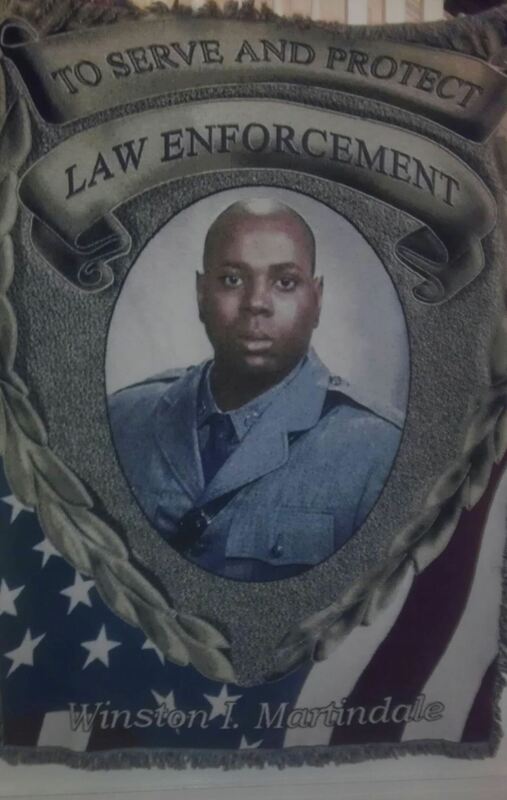 Junior served for 18 years as a soldier before becoming a state trooper in 2006. He lived in MIDDLETOWN…some 70 miles west of Brooklyn and was an integral part of his community of ethnic minorities. He was neighbor and loyal friend of Esworth and Linette Hopkinson who returned home hurriedly while vacationing in Alaska. Daughter…Dr Monique, lives and has a medical practice in Fairbanks.